We learn today that Amazon has acquired Goodreads, a social network for people who love to read. Goodreads has roughly 16 million members. More than 30,000 book clubs use the site. Many people see the move as a perfect fit for Amazon. The company gets the opportunity to learn about people's likes and dislikes regarding books, and they have an opportunity to promote to this active book-loving community. Moreover, they can use analytics to mine this tremendous amount of data about books that the social network will provide. Early reports indicate that they intend to integrate Goodreads more closely with their Kindle reader devices as well. For me, this move clearly extends the powerful network effect that Amazon already benefits from in the book business. The network effect means that the value for each Amazon user goes up as more people use the site. That effect increases now with the addition of this powerful and broad social network. Book lovers will derive even more value from Amazon, as the online marketplace enhances its ability to provide informative reviews and highly personalized recommendations to each customer. What's the downside? Goodreads has cultivated an independent status up to this point. Some Goodreads users will undoubtedly worry about the link with Amazon and the loss of that independent status. Amazon will have to manage this tension, much as firms do any time they vertically integrate. The Wall Street Journal reports today that Chevron's Board of Directors has cut compensation for senior executives at the firm, despite stellar financial results. What's the reason? Apparently, Chevron has had a spotty safety record over the past year or so. Therefore, despite strong financial performance, the bonuses for top executives have been scaled back. Now, the total compensation numbers are still very high. So, I don't think anyone is crying about the compensation changes. However, the move does send an important message. Unlike many other firms, Chevron's board is saying that financial performance at all costs will not be rewarded. A strong safety culture has many facets, so incentives alone will not improve safety. However, incentives are a key component. You have to reward the right kinds of behaviors if you want a strong safety culture. You also have to send the right symbolic messages. Chevron seems to have taken a step in the right direction. Many executives push hard for leadership development programs to deliver a strong return on investment. They want the programs to be "practical" and "applied" in nature. As a result, many companies have embedded action learning initiatives in their leadership development programs. They sound like a great idea. Bring a group of highly talented managers together for a leadership development program led by faculty members, consultants, and/or company executives. Then, put the participants in teams and have them work on real projects back at work for the next few months. Those projects provide an opportunity to put their learning into action, to apply the principles and techniques that they discussed during the program. After several months, the teams present to senior executive sponsors of these projects, and hopefully, some of their recommendations become reality. Hooray - we have demonstrated ROI! Ok, that's the ideal...what's the reality? The reality is that many of these action learning initiatives do not deliver the intended results. Why? It begins with the fact that you have overburdened some of your best talent. You bring them off-line for a week, perhaps several weeks, for a leadership program. They are now already feeling behind about work. Then, you ask them to take on this new project on top of everything else they are doing. Moreover, you ask them to collaborate on a team with members who may not even be co-located with them. Executive sponsorship often doesn't materialize as promised either. Senior leaders commit to serve as champions for the projects, but then they offer little guidance, support, or resources. I have seen this scenario play out on numerous occasions. Yes, applying what you have learned on a project can be a powerful development opportunity with tangible results for the business. However, these types of projects require far more preparation, support, and resources than we usually find in companies. For that reason, I would argue that many companies should re-think their action learning initiatives. This very good USA Today article describes the impact that 3D printing is having on innovation processes. This new technology has enabled firms to build incredible prototypes, so that they can bring innovations to market faster and more effectively. I think the technology has great promise, and firms can use it effectively to test out new ideas. Having said that, I think firms can fall in love with the concept of 3D printing prematurely. It is expensive to purchase and use this new technology. On most occasions, firms would benefit from beginning with a very inexpensive, crude prototype. They need not spend much money at all. They simply want to begin the discussion about a new idea, and offer folks a chance to touch and feel a product. As an example, consider this article in Fast Company about the creation of the Nike FuelBand. The article describes the first prototypes shown to Nike CEO Mark Parker. One prototype is shown here. It's a simple prototype made from a Velcro strap. 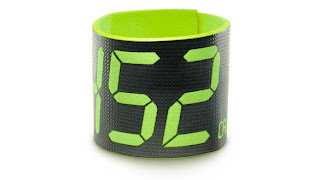 It made a huge impression on Parker, and from there, Nike developed a hit new product. 1. Why are we here in the first place? 2. What does the world need most that we are uniquely able to provide? 3. What are we willing to sacrifice? 4. What matters more than money? 5. Are we all on this mission together? I think these questions are very useful. I would simply add two comments. First, companies need to be cautious about adopting an insular approach when responding to these questions. The questions focus on "we" a great deal - as in the company's leaders and other employees. Of course, the key player here is the customer. What do they want, need, and desire? Why should they choose us? We might have a cool product idea, and we might care about it a great deal... but does it really solve a problem for a customer? Does it relieve their pain? Too much product focus and not enough customer focus can be a problem in some organizations. Second, the questions get people to think very broadly about the company's purpose. However, a great strategy has a strong degree of focus. Answering these questions can sometimes get people thinking so expansively that they aren't carefully delineating the boundaries of the firm's strategy. Who are we trying to serve, and who are we not trying to serve? What are we going to produce, and what are not going to produce? 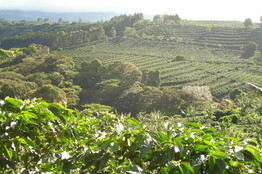 The Wall Street Journal reports that Starbucks has acquired a 600 acre coffee farm in Costa Rica. You might ask: Why is Starbucks backward integrating? They probably do not think they can operate the supply chain more efficiently through vertical integration. They certainly aren't going to obtain a significant amount of coffee beans through one 600 acre farm. What are they doing? They are learning, experimenting, and innovating. It's a terrific reason to engage in partial/limited backward integration. Starbucks CEO Howard Schultz explained, "We are talking about doing innovative things we would not be able to do without this farm." Craig Russell, a Starbucks senior vice president, explained that the company would try to identify ways to address a fungus problem that is affecting coffee farm yields in Central America: "It's a dynamic situation and we will absolutely use this farm for testing different methodologies and ways to use new types of coffee trees we've developed that have become more disease- and rust-resistant." Finally and most importantly, Starbucks intends to share what they learn about the fungus with other farmers, so that coffee bean production improves overall for the industry. This example demonstrates that a small bit of vertical integration (backward) can be very effective as a means of innovation and experimentation. Many companies simply view vertical integration from the perspective of its immediate effect on the bottom line. Ironically, many of those efforts actually decrease profits much to the chagrin of senior executives. Of course, many of those efforts are not small experiments. They are bold moves down without a good pilot to test the concept. In this case, a small bit of experimentation could yield large improvements in profits over time. The pressure continues to escalate on J.C. Penney CEO Ron Johnson. In this week's New Yorker, James Surowiecki writes about the struggling retailer (thank you, James, for the shout-out). Meanwhile, on CNBC, former J.C. Penney CEO Allen Questrom speaks out about the situation. Charles Day, CEO of The Lookinglass, has written a good article for Fast Company about attracting top creative talent. He offers eight suggestions. I want to highlight several of them here. "Transparency is essential to attracting and retaining great talent. We define transparency as this: telling what you can and explaining what you can’t. Sharing openly encourages your people to give you the benefit of the doubt. Critical to building loyalty." I think it's critically important to note the point about explaining what you cannot share. At times, certain issues cannot be disclosed, or at least must wait to be shared. That does not mean managers should remain completely silent. They need to explain (repeatedly) that more information will be shared moving forward, and you have to describe why certain information cannot be shared. Employees will fill a vacuum of information with gossip, rumor, and lots of time-wasting water-cooler talk. Don't let that vacuum exist. Fill it with a steady stream of communication. Last month Netflix launched a new original series called House of Cards. The show, starring Kevin Spacey, tells the story of a Democratic Congressman named Frank Underwood. It has received a number of favorable reviews. What I find most interesting about the show, though, is not the plot or the acting. It's the way in which Netflix introduced the show. It released all 13 episodes of the show's first "season" simultaneously. What a fascinating move! Why? We know that many Netflix customers engage in "binge viewing" of television series. They will sit down and watch an entire season of a show over a weekend - all 20 plus episodes. So, if that's the way that many customers enjoy watching TV series, why not give them an original series in the same format? It seems fitting. What's interesting, of course, is that none of the major television broadcast networks have chosen to launch a series in this manner. Why not? Why should they be beholden to the ancient once-per-week format for TV series? If we know consumers like to watch episodes in bunches, why not roll out a series in that manner? Broadcast networks have watched cable television and the internet erode their ratings for years. They need to think creatively about their business model. A move such as this one might be a good step forward. In my work, I have focused a great deal on how leaders often create conditions in which it becomes very difficult for individuals to express dissenting opinions. What about the dissenter? Can individuals become better at expressing dissent? Can they enhance the odds that leaders will listen and consider their views? Can they increase the odds that others in the group will not marginalize them? I believe that dissenters can become better at speaking up. 1. Know thy audience. Who are you trying to influence or persuade? How do they think? Are they analytical by nature, or they do make decisions more intuitively? 2. Understand the history of the issue. What events have taken place leading up to this situation? Who has been involved? Who might become defensive if I challenge the conventional wisdom here? 3. Build a coalition. Who could be my allies on this issue? How can I cultivate their support before I express my dissenting view? 4. Develop some options. If I disagree with this plan of action, I should offer some alternatives. What options might I propose? How could I invite others to propose alternatives? 5. Ask questions. Do not declare your opposition outright if that might be too threatening. Ask questions. Seek to understand, to press for clarification, to surface and test key assumptions, to encourage people to think differently about the issue. You go on an interview, and you answer all the questions posed by the interviewer. You think that you have performed quite well. Then the interviewer poses the usual query: What questions do you have for me? You don't want to appear befuddled. You need to have some good questions to pose. What should you ask? Drake Baer has some good questions over at Fast Company. If I started tomorrow, what's the first project you'd want me to tackle? What are the must-have personality traits for this position? What would you like to see more from in this position? Why would I not be a fit for this job? I think that these questions may prove quite useful. However, I have a slightly different piece of advice to offer as well. I always advise my students to conduct some field research prior to their interviews. For a student interviewing at Bose last year, I suggested spending some time in the Bose outlet store in Wrentham, MA. For a student interviewing this winter at Boston Beer Company, I suggested spending time examining how the company was merchandising and marketing its products at bars, restaurants, and liquor stores. He really loved that suggestion - what fun research! In each case, I recommended developing some questions based upon those field visits. The students both impressed their interviewers with this knowledge of what was happening in the field (as opposed to just what they read on the website or in the 10K). 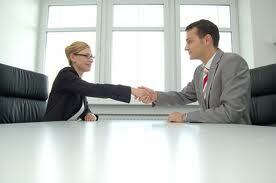 The questions proved far from generic; they could engage in a really substantive way with the interviewer. They both got the job that they wanted! Timothy Gubler, Ian Larkin, Lamar Pierce have conducted a provocative new study regarding employee awards. They collected data about an attendance award program at a private commercial laundry services company in the Midwestern United States. One of the company's five plants chose to implement an award for good attendance. Managers wanted to reduce absences and tardiness. The other four plants did not institute this program. The program was rather simple. All employees without an unexcused absence or tardy in the prior month received recognition before their peers, and they became eligible for a drawing for a $75 gift card. The program lasted for a bit less than a year. Senior executives at the company eliminated the program because they felt it rewarded behavior that should be expected of everyone. First, employees game the program, improving timeliness only when eligible for the award, and strategically calling in sick to retain eligibility. Second, employees with perfect pre-program attendance or high productivity suffered a 6% to 8% productivity decrease after program introduction, suggesting they were demotivated by awards for good behavior they already exhibited. Overall, our results suggest the award program decreased plant productivity by 1.4%, and that positive effects from awards are accompanied by more complex employee responses that limit program effectiveness. I don't think we should be surprised by these results. When creating any type of incentive or recognition program, we should remember the law of unintended consequences. Still the paper documents the phenomenon in a powerful way. I find it particularly interesting that this award program clearly created a perception of injustice. People felt that people did not merit recognition for simply showing up when they should anyway. Perceptions of inequity should be top of mind when creating reward programs. These feelings are likely to trigger discontent and unintended consequences. The turnaround at JC Penney has definitely not transpired as CEO Ron Johnson expected. Sales have plummeted, the firm has reported huge losses, and the company's cash position has deteriorated. Johnson came on board just a short time ago to much fanfare. He enjoyed a successful career at Target, and then he had launched Apple's retail stores with Steve Jobs. He came to JC Penney with high hopes of engineering a major turnaround. He announced a major new pricing strategy and plans for changes in the layout/design of the stores. Customers didn't flock to his stores; they fled. The stock has taken a beating lately. 1. He changed the pricing strategy BEFORE changing the merchandising strategy. He wanted to move toward an everyday low pricing strategy, and away from constant discounting. However, he needed to change the merchandising and store design strategies FIRST before he could try to do away with promotions and discounting. Johnson needed to create a different shopping experience, and then having done that, he could have perhaps persuaded customers to shop without waiting for discounts and sales. 2. He did not manage expectations well. He was hired with great fanfare. He talked boldly of a new strategy for the retailer. Perhaps he should have remembered the old adage: under-promise and over-deliver. 3. He didn't recognize the difficultly involved when trying to change ingrained habits. His customers were very accustomed to shopping in a certain way. Asking them to shop in an entirely different manner, almost overnight, would be too much of a shock. At the same time, he didn't have the new merchandising strategy in place that might attract different customers to his stores. Habits die hard. The firm learned a hard lesson there.